Bring Your Own Device (BYOD) is becoming synonymous with Bring You Own Malware. As more small-to-large businesses feel the pressure to allow employees to use their personal smart phones, tablets and other devices for business use, they are stuck weighing the benefits of flexibility and increased productivity with BYOD security. BYOD introduces new malware risks, data leak avenues and visibility holes for network managers. Knowledge is key. Lack of user security awareness is a major contributor to malware attacks succeeding on a network. Educate all you can but malicious links fool even the most conscientious user. Device form factors such as miniature screens and the immediacy associated with being connected remotely play into tricking your most careful employees. In a Remote Desktop Server or Citrix environment, your users’ devices are restricted to acting as a "dumb terminal" on your network. Access to corporate resources remains segregated from apps and data residing on your users’ endpoints. In a server centric environment, you maintain full control. Here Pearl Echo.Suite can extend your device support and simultaneously provide data leak protection (DLP)regardless of the type or number of mobile devices accessing the Internet via the corporate server environment. 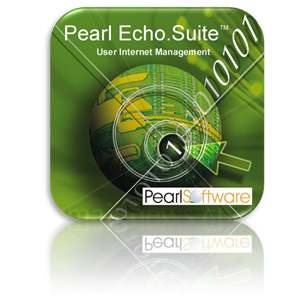 With Pearl Echo software, you can provide your corporate environment with the necessary BYOD security that gives you the needed flexibility regardless of employee location, device or OS. From the sheer volume of user apps to the differences in device capabilities and operating systems, mobile devices present an almost limitless number of Internet access control issues for corporations providing direct access to their networks. When users access your network, Pearl Software can help you prevent malware from propagating on your network by stopping malware at its source. And given the personal nature of most devices, this can be done without installing an agent at the endpoint. 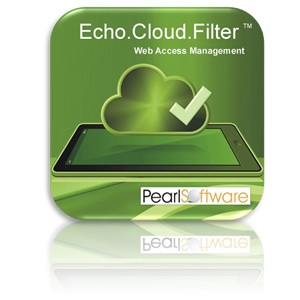 Pearl’s Echo.Cloud.Filter keeps users from visiting sites that contain harmful content. When Pearl Software scans a site, it also downloads and checks for viruses in setup files, zip files and executable files. If viruses are found, the site is added to our Malware category to prevent a seemingly harmless site from launching a drive-by install of malicious code or drivers. BYOD Policies for the Enterprise in a Changing World of Mobile Device Management and Network Monitoring. Potential Effects of Google Glass and Other New Technologies on BYOD Security and Policy. BYOD Can Have Risks But Can Also Offer Rewards If Implemented Properly. Is Your Company Taking BYOD Security Issues Seriously?